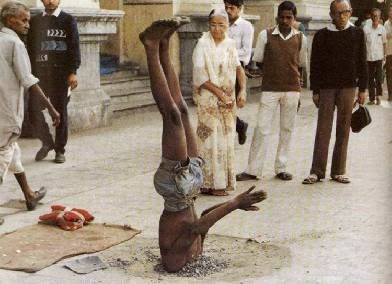 Sometimes just turning something upside down can help us to understand it. Anyone who has ever tried the techniques in Drawing on the Right Side of the Brain knows exactly what I am talking about. The same applies to charts. If a stock looks like a buy on the charts, would you sell it if the chart were inverted? What if I were talking about an index? If you want to use the VIX to help determine when it is a good time to be long or short the markets, one of the best things to do is to invert it, as I have done in the graphic below. Here you can see that from 2003-2007 the buy on the dip strategy has worked well with both the SPX and the inverted VIX, with the bigger dips providing the bigger opportunities. This should come as no surprise, as in long bull markets any strategy that relies on buying the dips is almost guaranteed to be successful. The larger question is how to distinguish the dips from the extended bear markets. To help think about this question, I have included the 1999-2003 data, which generally show the dips to be good buying opportunities in the 1-3 month time frame, but subject to the gravity of the bear pull over the longer term. One other aspect of this chart bears mentioning: if you want to think of the VIX as a fear gauge, it is indicating that current fear levels are on par with that of 2001-2002. Until further notice, I am still in the contrarian bull camp. I really like this post. As always, great work. could we achieve a rating in the -8 to -9 area if we get another Friday afternoon meltdown as traders dump the positions that they do not want to carry over the weekend? FWIW, where are we now? Also, Schaeffer's call to use VIX options as a hedge was a great strategy. If only one had purchased those Nov 10s in February. Is that a picture of you doing a detailed sidewalk exam? Are you still long from your first post on the matter, about a week or two ago, "long equities and short VIX?" "Here is one of the first large bear strategy that I have seen in the +20 VIX days. This morning an investor established a Bear Split-Strike Combo by purchasing 10k of the SEPT 16 puts @ 0.20 while selling 10k of the SEPT 17 calls @ 4.70. It appears that this was the strategy. I am digging deeper on this." If this volatility keeps up, that trade is going to take some serious heat tomorrow. Interesting. Still though, if one can stand the heat, the VIX will likely be below 23 by September. With today's close, we are at a VWSI of -9 again, but that will drop down to a -6 if the VIX has the same close tomorrow. For tomorrow, a close of 26.49 will trigger a -7, a 26.74 will trigger a -9 (and also a -8 at the same number), and a close of 28.89 will mean a VWSI of -10. I've been fairly bullish ever since 2007 began, but started getting more bullish on July 25th and again on August 1st. I did not expect things turn turn down as much as they did today and think tomorrow may be one of the more interesting trading days of the year. This is where it helps to have some dry powder in reserve. I enjoy reading your posts about the VIX. The VIX is an interesting thing to keep an eye on that's for sure. Tommorrow is certainly shaping up to be one very interesting trading day. "and a close of 28.89 will mean a VWSI of -10." Well, we hit it intra-day. Let's see how we close. This is truly uncharted waters in the VIX, no? On another note, that Bear Split-Strike is taking some serious heat this morning. That trader has some guts. My way of thinking (VWSI) is that we have been in uncharted waters since last Friday. Frankly, I thought the carnage at the open would have been worse, but today may turn out to be a slow bleed rather than a gusher. Then again, it's possible that the markets shake off another gut-wrenching day and firm up the recent bottoms. The combination of today and Monday may turn out to be the most interesting trading days of the year. For Monday there is a lot of (perceived) headline risk to be balanced against a lot of (potential) upside opportunity if things quiet down. Big money is usually made in the face of such large uncertainty. This is a good time to make your bets with options -- or sit on the sidelines and wait for a better directional signal. Reviewing your past posts I noticed the July 19th item on the sale of 20,000 VIX Sept 25 calls for @.40/ (VIX at 16). At the time it looked like a pretty safe trade. 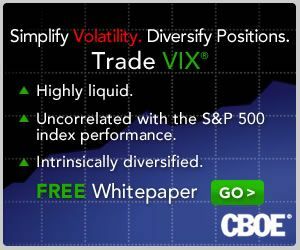 The VIXIE are now 2.90 or 750% higher (VIX at 29.50). Wish I'd been on the right side of that one. A lot of girls like to buy a bag, but do not know how to maintain the bag is actually very simple! Can the VIX See a Year Out? How Healthy Is the Rally? How Does the Recent VIX Spike Compare?